Let's talk about chronic illness for a minute. More specifically, let's talk about the chronic pain that inevitably follows the chronic illness. Most of you know I've been sick for nearly 11 years and unfortunately with chronic illness comes many, many different symptoms. Aside from being diagnosed with 8 to 10 different conditions, for me, some of the things I've experienced throughout the years are brain fog, insomnia, depression, sporadic leg weakness, anxiety, mottling of the hands and feet, hot flashes, paralysis....you name it, I've probably experienced it at least once! One of the symptoms that stays with me on a 24/7 basis is chronic pain. The level of the pain may fluctuate day to day but it's ALWAYS there in one form or another. Not only is it always there, but certain things in daily life can set it off like the weather, medications, and certain foods such as sugar, wheat, and dairy which is why, aside from some cheese, I've limited my dairy intake considerably since it's one of the major foods that cause inflammation. I literally cannot tell you the last time I actually even had regular cow's milk! 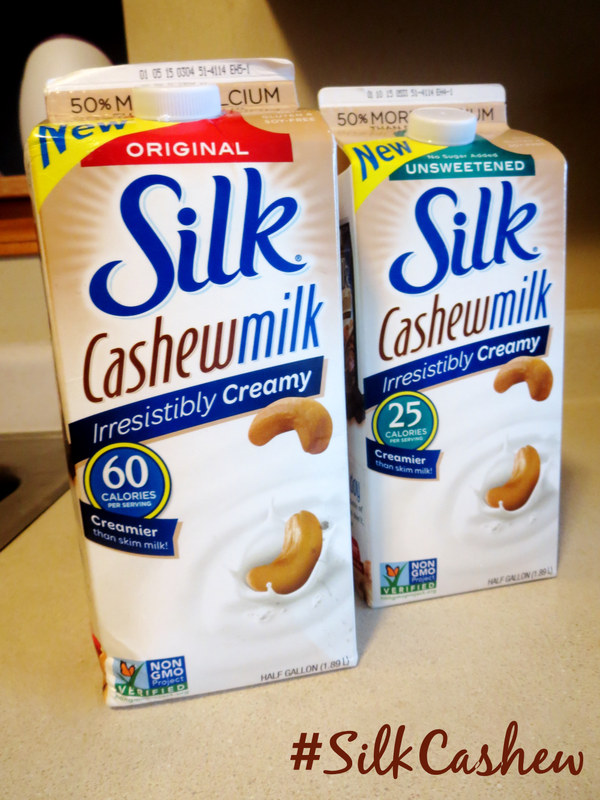 The past several years I've stuck to mainly almond milk for my milk-related needs, which is why I was ecstatic when Silk mentioned they were coming out with a new cashew milk! Available in Original Cashewmilk and Unsweetened Cashewmilk, Silk's newest cashew milk tastes creamier than skim milk and also has less calories; 60 per serving, 25% fewer calories than skim milk*. Not only that but they have 50% more calcium than dairy milk. I'm just thrilled I can actually have a plain ol' glass of milk again without worrying about being in pain afterwords! Speaking of chronic pain, I actually found this particular recipe I'm sharing with you guys when my pain level was incredibly high and I had done everything I could think to do. I was sobbing, could barely move, and very desperate so I turned to the online world for help and I'm so thankful I found this recipe when I did. The fact that it's pretty much organic and holistic (depending on the ingredients used of course) is also a nice benefit! If you, yourself, know chronic pain or have someone in your life that does and could benefit from this wonderful tea, please pass this recipe along. I can promise you they'll appreciate it more than you know. *For this tea, both tumeric and ginger would probably be better fresh but pre-packaged spices can work in a pinch. Step #1: In a small sauce pan bring your water to a boil. Once boiling add your turmeric and ginger, reduce the heat to low, and let simmer for a good 10 minutes. 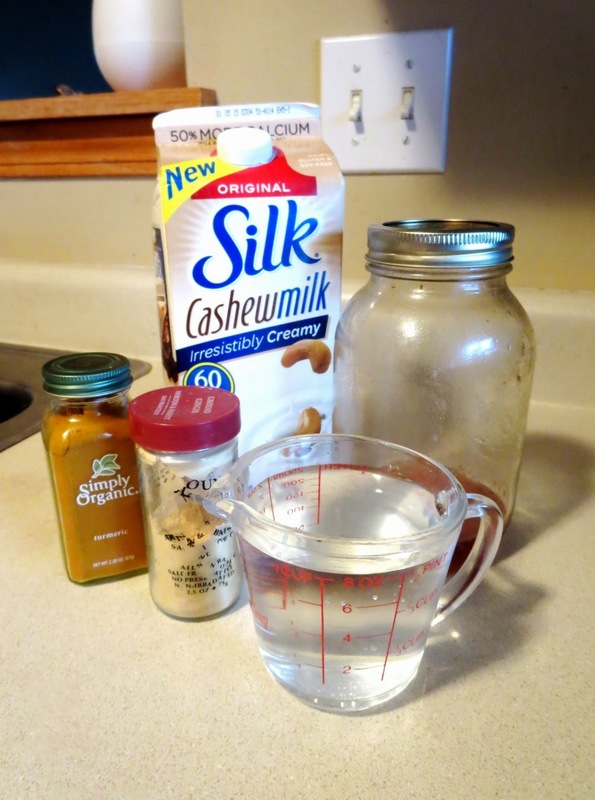 Step #2: Once everything is pretty well simmered you can add your splash of Silk Cashewmilk. Step #3: This is a very important step, especially if you used fresh ingredients! Pour your tea from the saucepan into a strainer which will catch all the chunky pieces you do NOT want to be drinking. 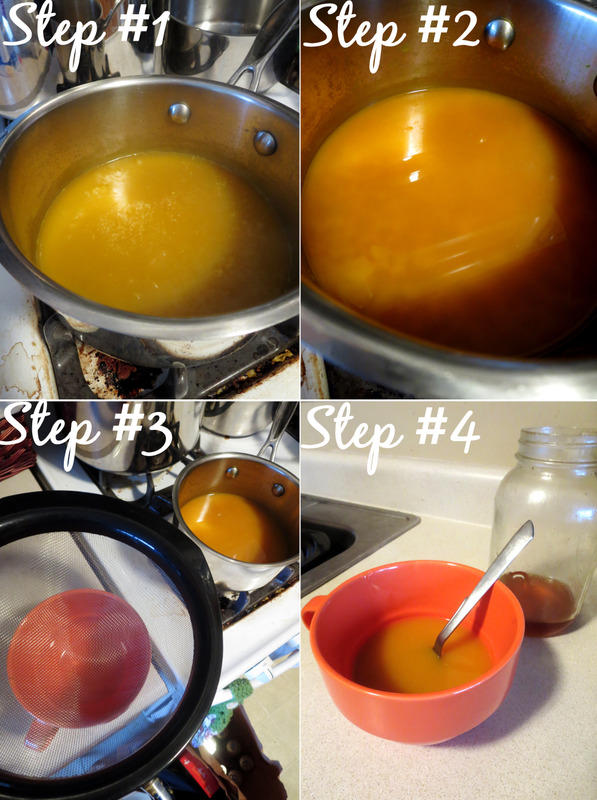 Step #4: Once strained, stir in your spoon full of raw honey to taste and enjoy! My favorite part is actually pouring in the milk because of how the hot tea and creaminess of the milk react to each other. I tried to grab a video of it so you can see for yourself! Please excuse the blatant milk spillage. In the past I'd have used almond milk to tame the spiciness of this tea but since I received my Silk Cashew Milk I wanted to substitute that and see how the switch worked. The creaminess of the cashew milk paired with the tea amazingly and, quite honestly, I think it was considerably better than the previously used nut milk. Aside from the tea, the cashew milk has also been substituted for half-and-half in my mom's morning coffee and for almond milk in a few bowls of my cereal. We'd buy it and use it again in a heartbeat! Next step is holiday baking with it! Make sure to follow the Silk Facebook Page to keep up-to-date with the happenings and also subscribe to the Silk eNewsletter-Silk has some very exciting things going on so you absolutely don't want to miss out! To find more awesome cashew milk recipes you can also follow the Silk Cashew Milk Pinterest Board. 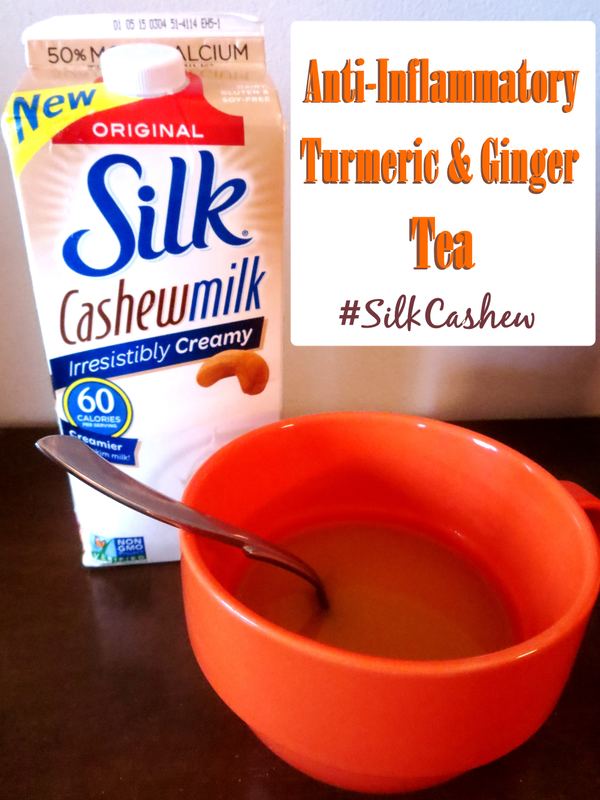 Have you used Silk's new Cashew Milk yet? What would you substitute it for?